Firstly, we have more than 16 years PU sandwich panel experiences, master a full set of production technology, meanwhile we are top three on term of PU sandwich panel in china. Secondly, we not only provide customer production line but also provide a complete solution for PU sandwich panel technology. Recovering customer's initial investment with the least raw materials. Third, our company be mainly aimed at high and middle grade market, the quality of raw material we use is higher than normal seen. Fourth, where the rotation axis between holes, are equipped with self-lubrication properties of materials bush for improving self lubrication of parts and prolong its life. 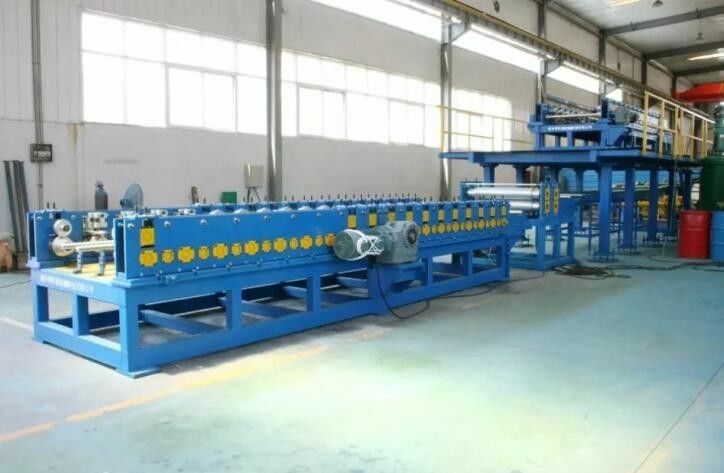 The roll forming machine is suitable for production wall panel ,roof panel ,cold storage panel ,garage door panel and other different profile shape .Conversion of different roll forming machine can be realized by parallel rail ,the width and production rate is adjustable .Besides ,we installed the corona unit ,increased the adhesion between polyurethane and steel plate. The length of double belt conveyor with our company manufacturing is 36m ,increased working length ,the productivity improved by 20–30% compared with the present machine in the same producing condition .Controlled by Germany Siemens servo machine .Adopt side seal hanging system and snap-in connection way ,could make fixing and demounting more quickly and easily ,saving a lot of labor . 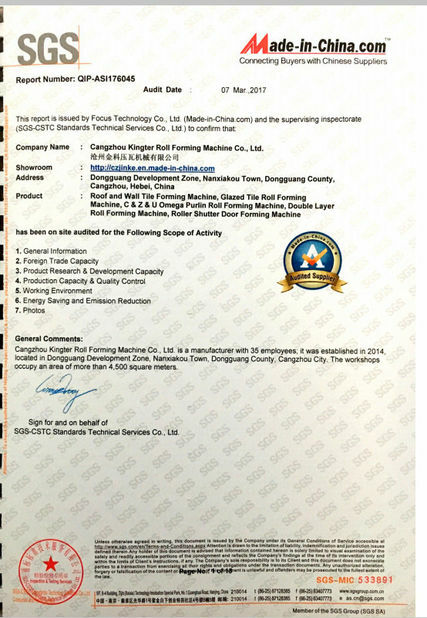 In order to ensure the continuous production and online maintenance of mixing head, the foaming machine is provided with two sets of independent mixing head .Cleaning with high press water saved a lot of time and labor ,increased production efficiency. 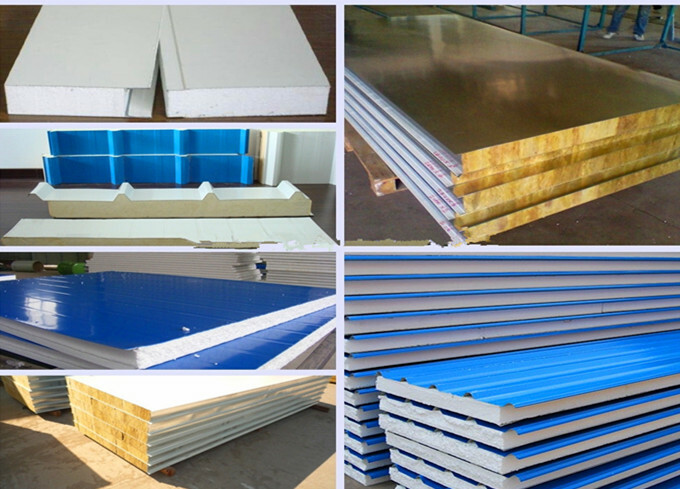 Sandwich panel will produce a large amount of heart in the process of foaming, cooling system is mainly used for keeping finished sandwich panel in “vertical display” for cooling under constant temperature condition. This machine is suitable for packing bar-shaped products by rotating central device. For convenient transport, EPS blocks are put in the pre-setting place before packing through block feeding system. 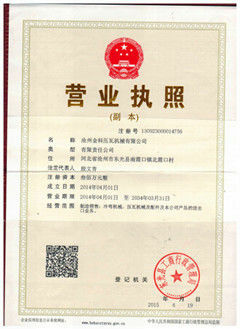 Fully-automatic electric hearting system is used to cut off the film for improving packing speed.